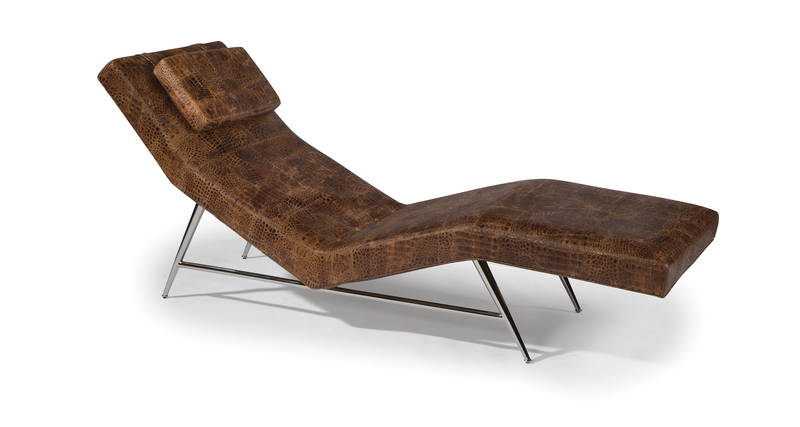 Believed to be one of Milo Baughman's original design proposals to Thayer Coggin during their initial meeting in 1953, our Fred chaise is a visionary, midcentury modern classic. 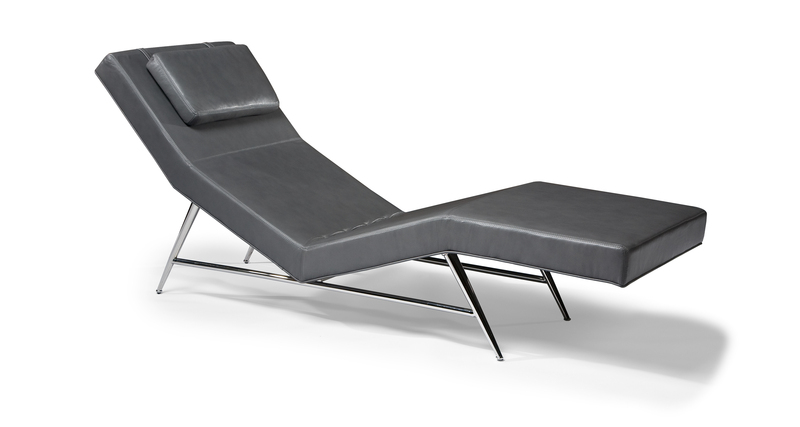 This imaginative chaise features a wedged leg base constructed of highly polished stainless steel paired with a thin profile upholstery frame. Choose any of our in-house curated fabrics or leather for upholstery or provide COM. Available with satin brass base as No. 1231-400-SB or with brushed bronze base as No. 1231-400-B. Base polished stainless steel finish.